Join us as we sit down with the Rock and Roll Hall of Fame Inductee and former Eagles member to talk about his new LP and more. BackStory Events and Guitar World invite you to join us for the live stream of our exclusive interview with former lead guitarist and songwriter of The Eagles, Rock and Roll Hall of Fame Inductee, and New York Times bestselling author, Don Felder. The interview will take place at 7:00 p.m. EST this Monday, March 8, live from The Cutting Room in New York City. We’ll sit down to chat about his new LP, American Rock ‘N’ Roll, plus classic stories from decades in the studio and on the road. Felder will be interviewed by author and journalist Brad Tolinski. The event is part of the BackStory Events online series and will be live streamed by Guitar World magazine. 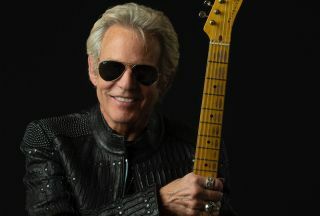 To find out more, visit donfelder.com or backstoryevents.com.